Ribworkers just get the job done - whatever the job may be! 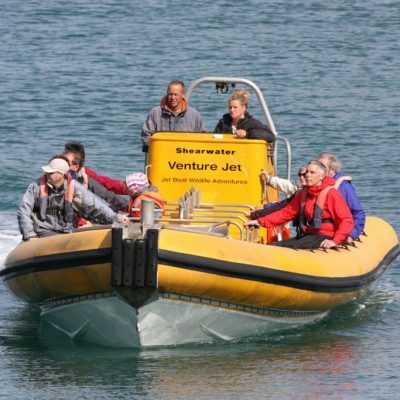 We set up Venture Jet in 2004 to bring the excitement of the New Zealand jet boats to the UK; passengers compare Venture Jet favourably with New Zealand’s world leading Shotover Jet experience. After over 30 years jet boating we've decided to retire so our Ribworker jet boat is for sale (with or without the business). 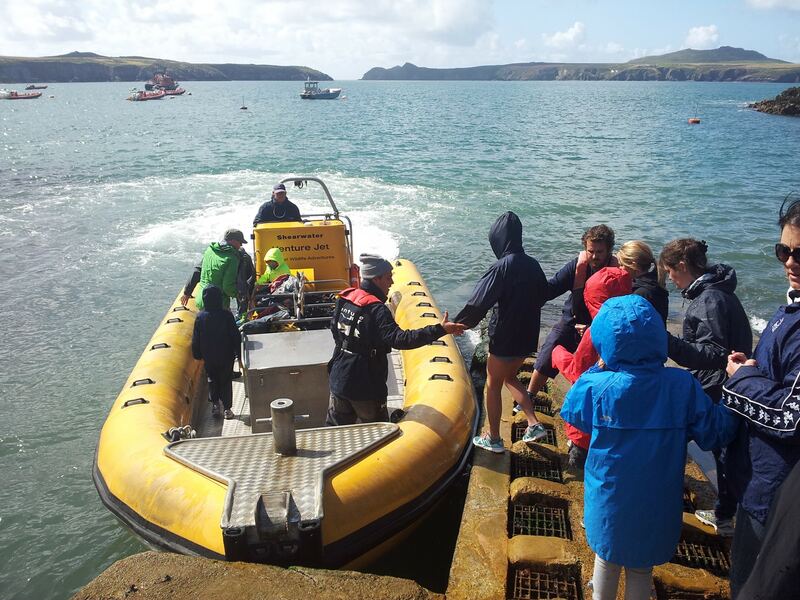 We'll work with new owners or simply hand over as they start or expand their boat business, in Pembrokeshire or wherever they choose. 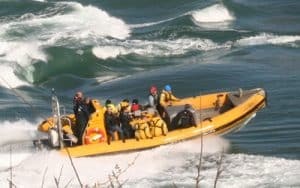 The 'Wet & Wild' manoeuvres are easily adaptable to any adventure tourism market, propeller-free wildlife-friendly jets are ideal for wildlife anywhere and the world always needs a good workboat to just get the job done. One boat does it all. 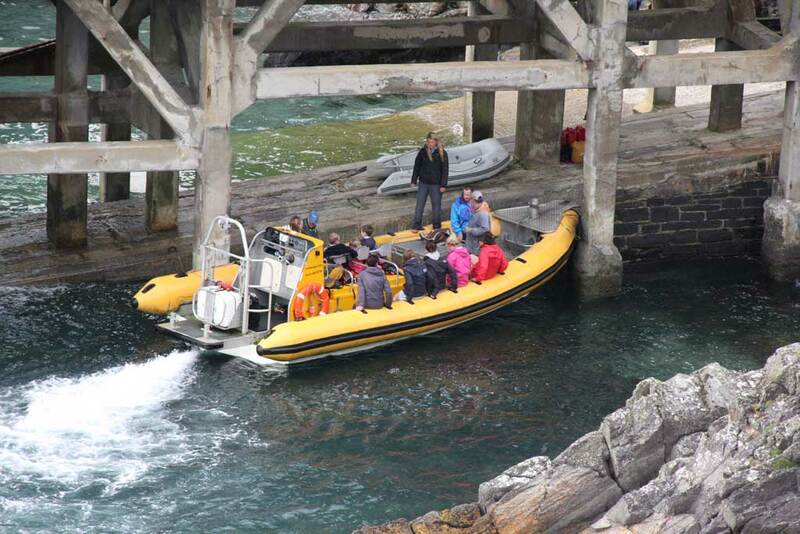 Our Ribworker jet boat is a fast and fun passenger RIB that can spin on its axis; full control of forward and reverse thrust enables power-braking and precision manoeuvring at both low and high revs even in strong tides - awesome work boat, exciting for passengers, propeller-free so safer for wildlife. 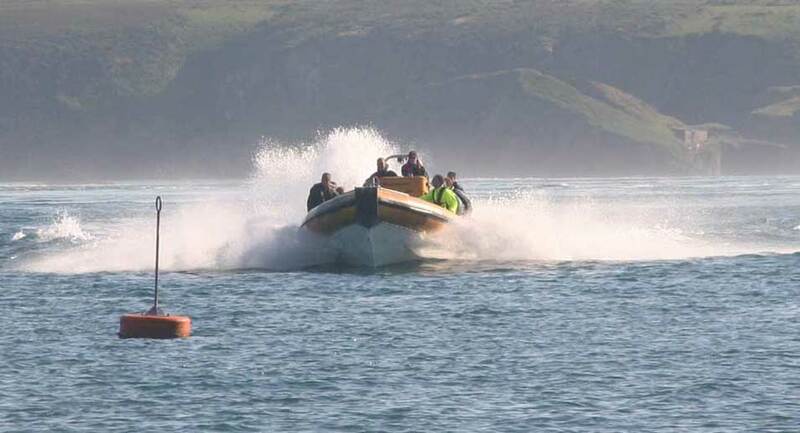 Ribworkers are ridiculously tough, designed for serious seas but also fantastic fun. These boats speak for themselves: once you've got used to them you'll never want to work anything else. 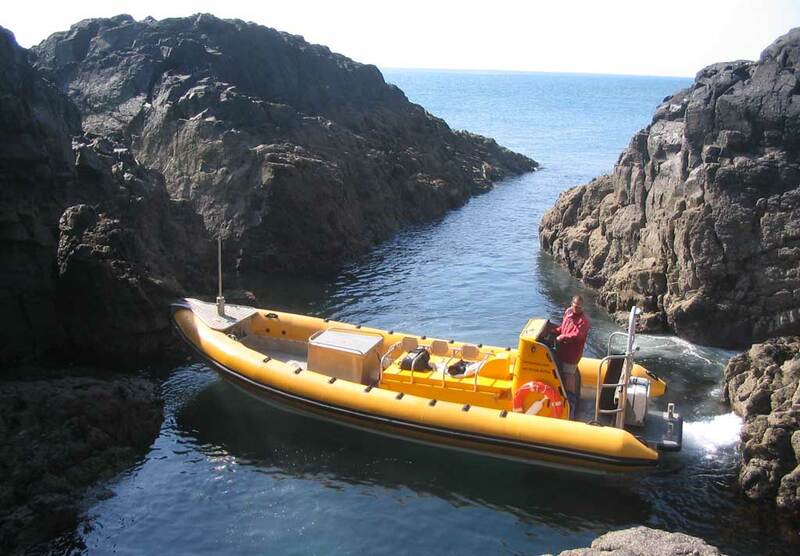 Sale of jet RIB alone - 9m Ocean Dynamics Ribworker aluminium diesel jet boat. 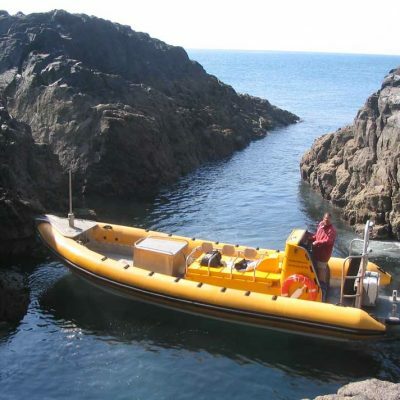 Offers are invited in the region of £70,000 (plus VAT if applicable; no VAT to pay if buyer purchases boat with business). 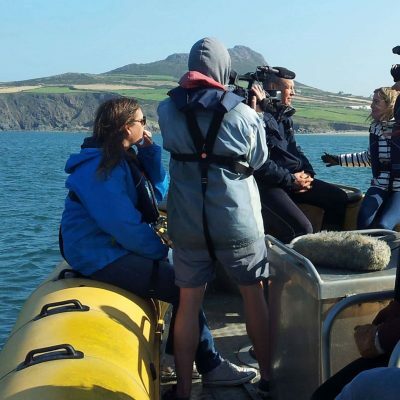 Sale of Venture Jet to continue in Pembrokeshire - including boat, excellent safety and no claims insurance record, established websites, online booking, all operational paperwork, online and print marketing materials, transfer of existing bookings, social media, review site listings, comprehensive handover- boat training, business, social media. Price negotiable according to equipment and spares, ongoing support package (if any); no VAT to pay. 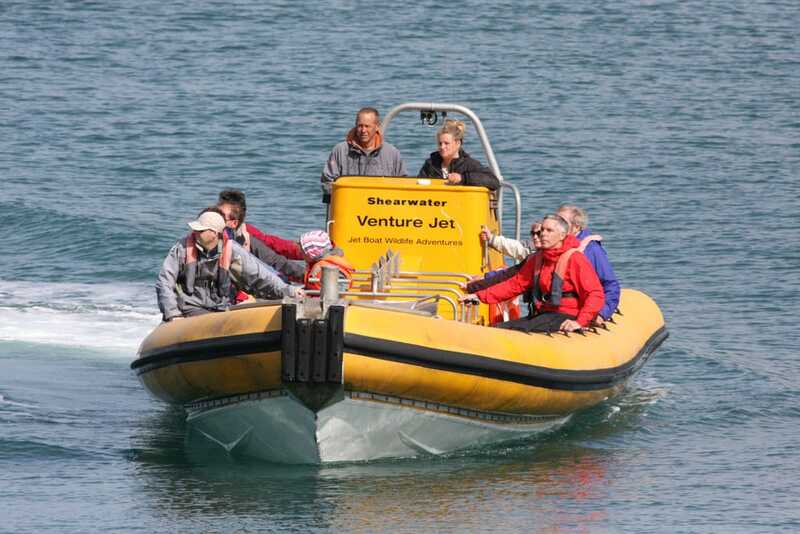 Sale of Venture Jet to relocate - including boat, excellent safety and no claims insurance record, established websites, online booking, all operational paperwork, online and print marketing materials, comprehensive handover- boat training, business, social media. Price negotiable according to equipment and spares, ongoing support package (if any); no VAT to pay. We know what it is to plan a business. 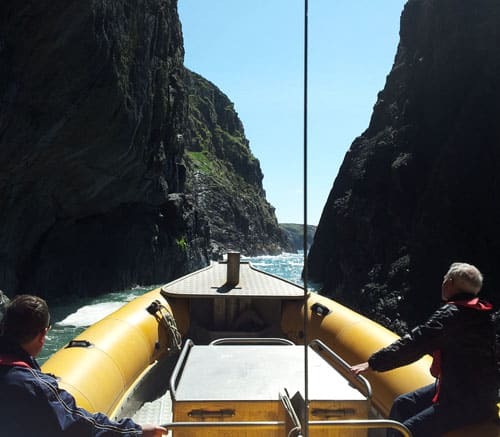 We'll be happy to negotiate a price and time frame to suit both parties depending on what the buyer needs in terms of equipment and spares, ongoing support package (if any) and whether the business is to be continued in Pembrokeshire or relocated. We're still enjoying getting covered in salt water but we're ready to hand over the boat and / or business as early or as late as a buyer wishes for 2019 or ready for 2020. While we're happy to provide as much support as a new owner needs for a year or so as they make the business their own, we want to move on with other projects. If you'd like to discuss the possibilities please call us on +44 (0)1348 837764 or email: info@venturejet.co.uk. 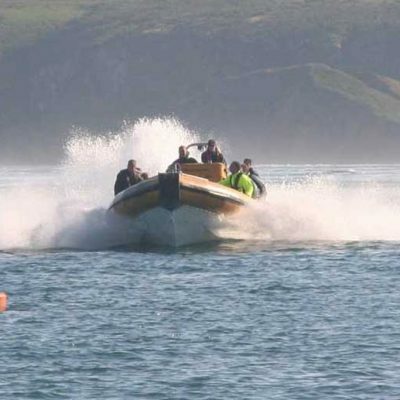 Our business brings the excitement of the New Zealand jet boats to Pembrokeshire with a unique hull and jet combination; customer review sites compare Venture Jet favourably with New Zealand’s Shotover Jet experience. 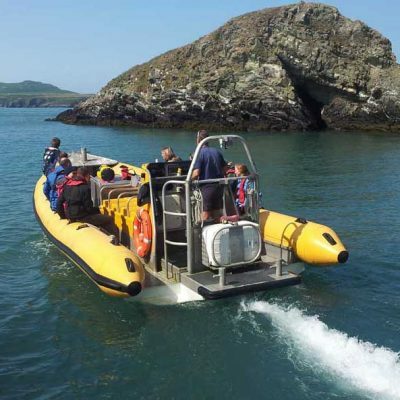 Our ‘Wet and Wild’ jet boat adventure trips are well established in St Davids, a popular tourist hotspot with an international reputation as a boat wildlife tour and adventure tourism destination. 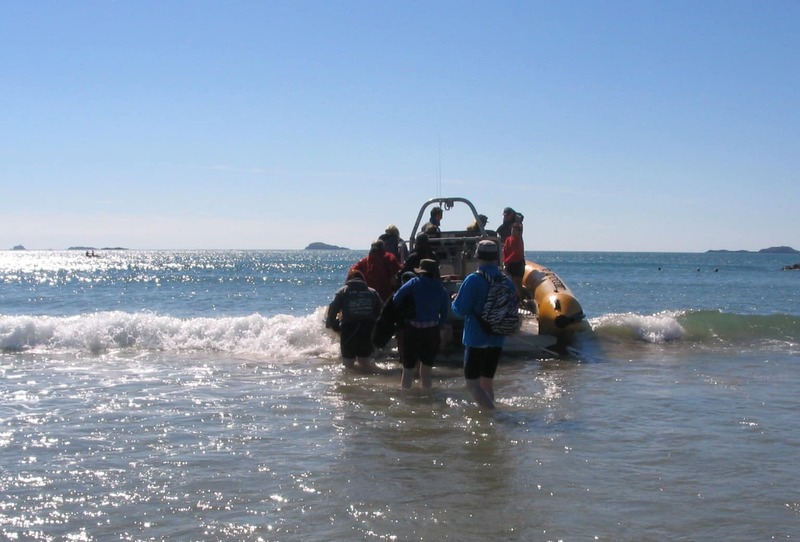 We set up the business to be very flexible and chose not to have a public office in St Davids, the only boat company to have been able to operate successfully without one. 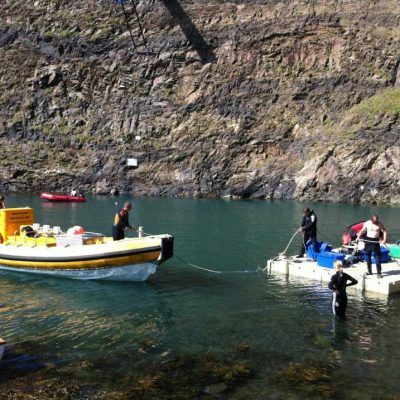 The business is set up ready to go so you can focus on the best bit - the boat trips. 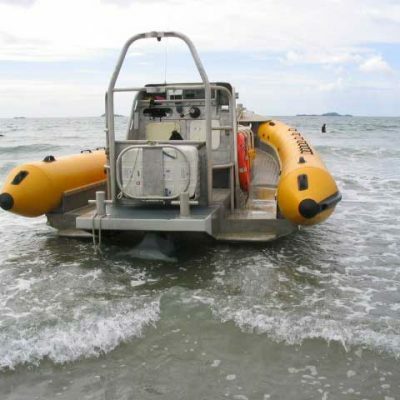 Ribworker jet boat – for boat details please see boat section below and our Ribworker for sale page. Excellent safety and no claims insurance record. Established websites, online and telephone booking (no public office overheads), logos, digital and print marketing, telephone number. Excellent reputation on customer review sites, transfer of forward bookings (high level of repeat trade). 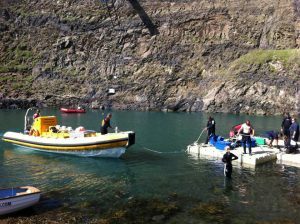 Comprehensive handover (boat training, business, social media). All operational paperwork including training manuals, risk assessments etc. Fully operational business ready to transfer to continue trading with immediate effect. See boat purchase section below. Boat mooring, trailer, storage ashore if needed. 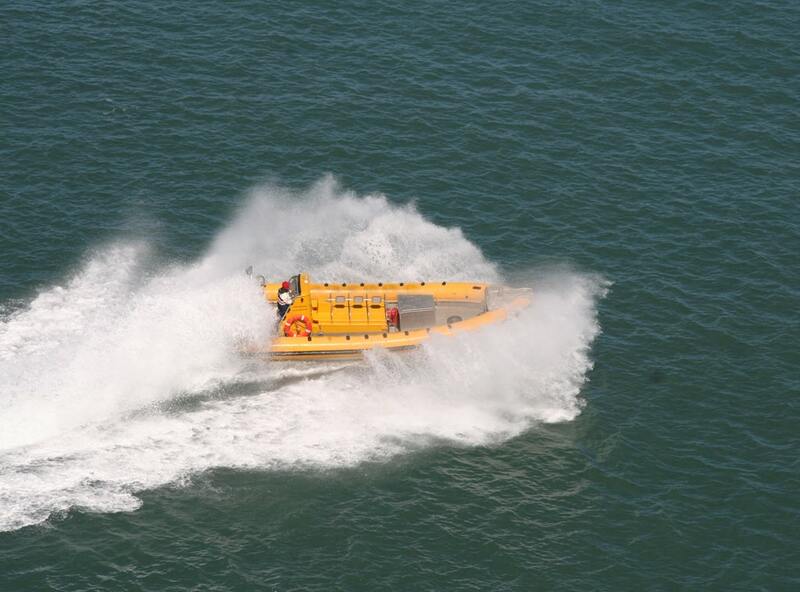 Ongoing training and support for all aspects of the business both at sea and ashore. Price negotiable according to equipment and spares, ongoing support package (if any). 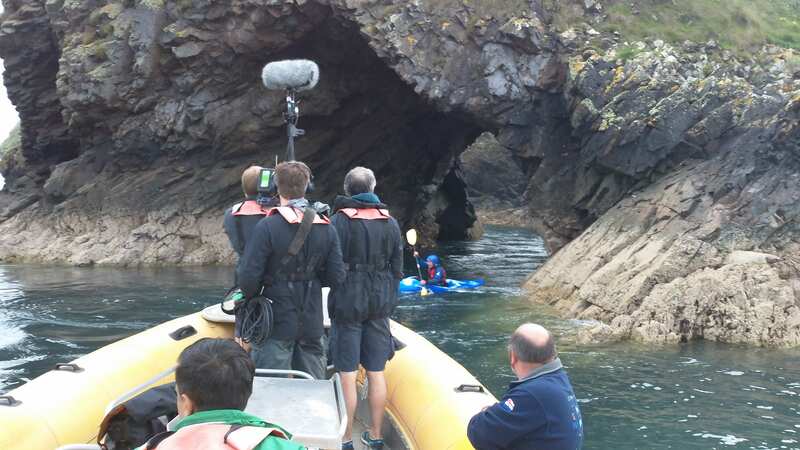 The only company in the UK to offer the ‘Wet and Wild’ jet boat adventure, an adventure activity and wildlife adventure in one: wildlife watching, rock-hugging cave exploration with the excitement of power braking and jet boat spins. 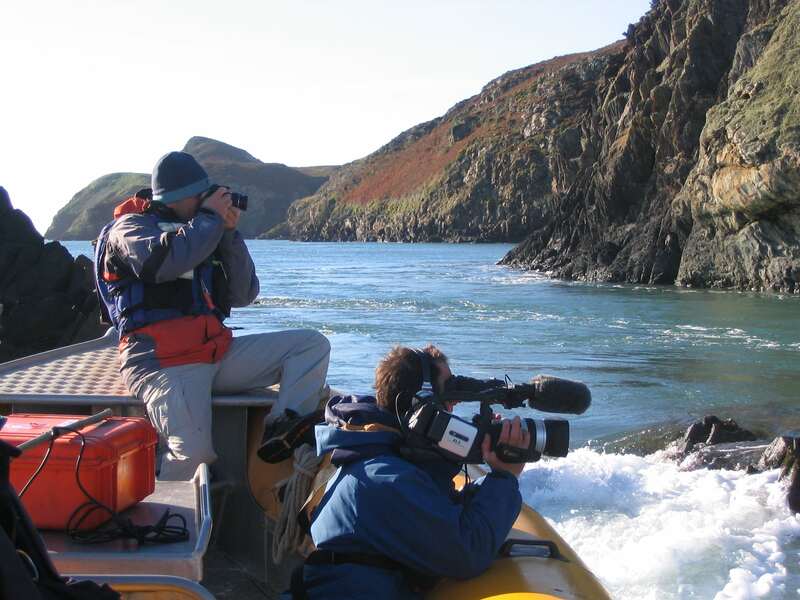 The business has been run as an outdoor activity as much as a wildlife tour, primarily doing passenger and film / scientific charter to suit the owners’ lifestyle but there is plenty of scope to develop to suit a new owner: commercial charter, safety cover, dive charter (no propellers so huge safety and operational advantages). 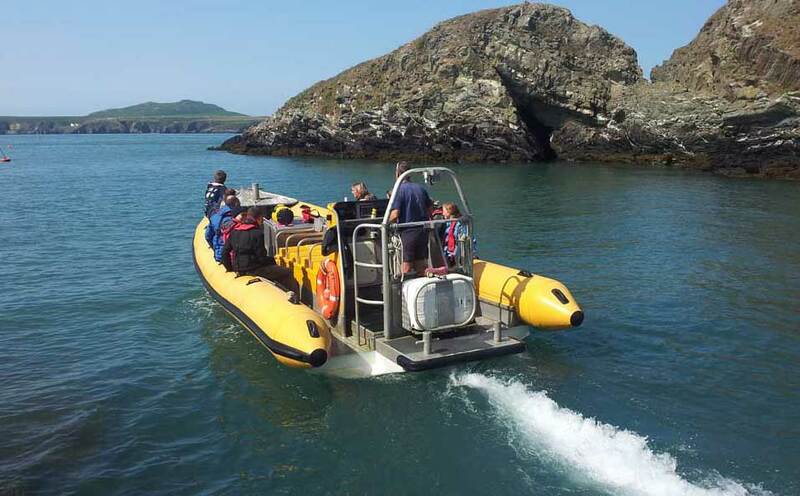 Operates from St Davids but trips needn’t be confined to St Davids. 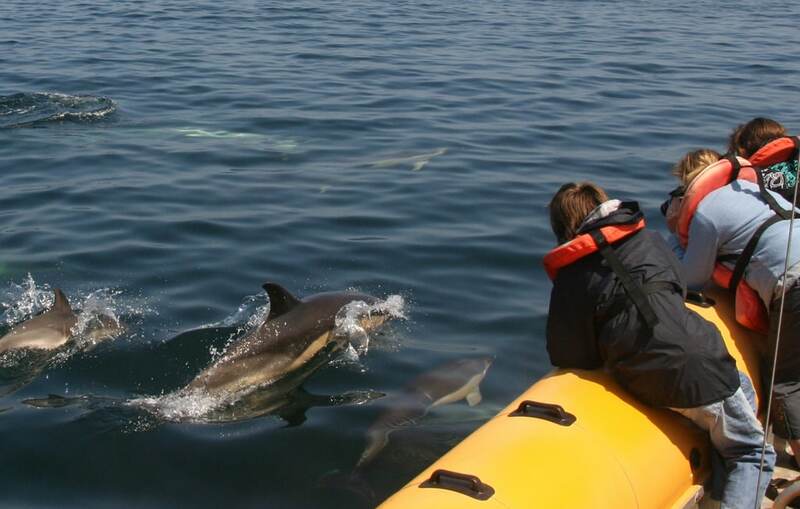 Set up in 2004, Venture Jet has been consistently rated as excellent by review sites such as TripAdvisor and as such it has a high level of regular and repeat trade. There is clear further potential to increase trade should any new buyer wish to expand eg by returning to full Easter to early November season (we've shortened our season in recent years to May to September). 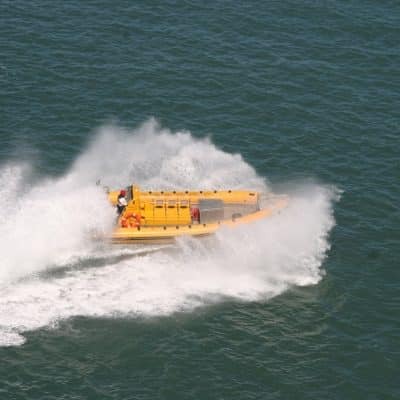 Relocatable: the model is very transferable - the 'Wet and Wild' jet boat manoeuvres and workboat capabilities could be adapted to any area; flexible business model and booking system. Flexible business: operating successfully without the overheads of a public office with online and telephone bookings. Continue trading: the telephone number, website and existing forward bookings will also be transferred, making this a fantastic opportunity to continue trading with immediate effect. Season: Easter to early November. In recent years we've shortened our season to May to early September to enable us to pursue other projects but the business has demand from Easter to early November. Staffing: the business is currently run by the two owners and seasonal staff. It has no ongoing staffing liabilities. 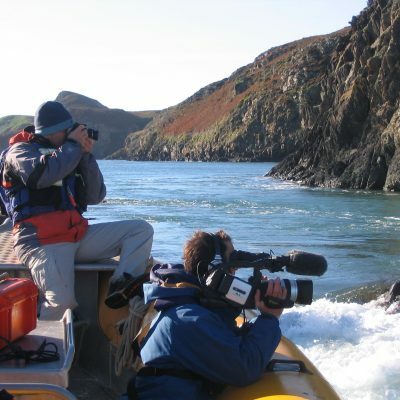 Business Location: St Davids, Pembrokeshire, the UK’s only coastal national park. 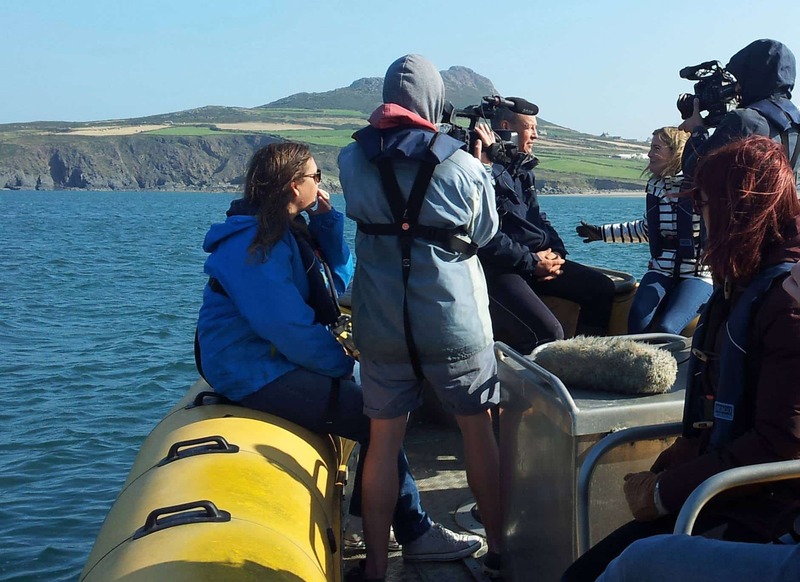 Pembrokeshire is regularly voted as one of the best holiday destinations in the world for its unspoilt beaches and the beauty of its coastline but also its islands and tremendous range of wildlife. 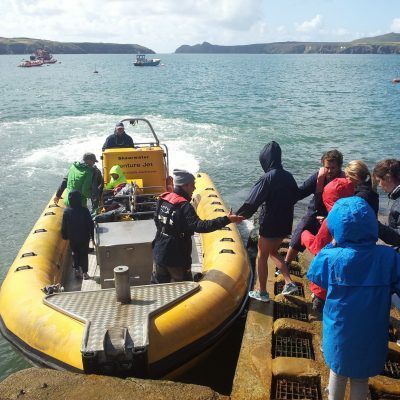 The smallest city in the UK, St Davids is a highly popular tourist attraction in its own right, with an international reputation as a boat tour and adventure tourism destination. 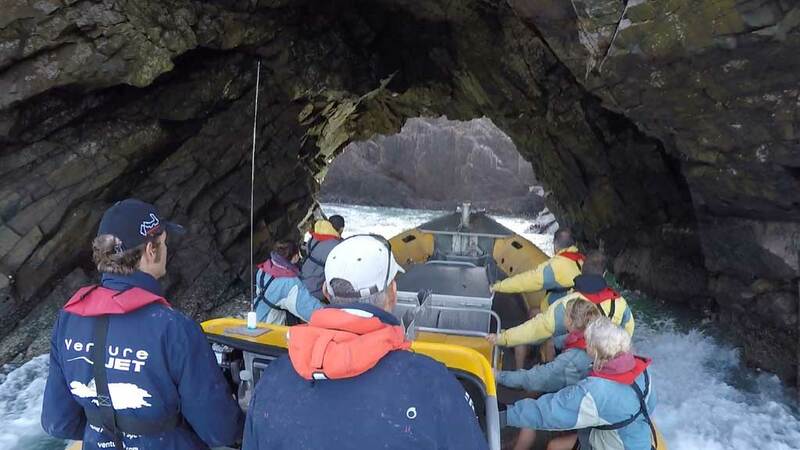 Its cathedral, art galleries and beaches attract families and adults of all ages, school, University, adventure activity and stag / hen groups. 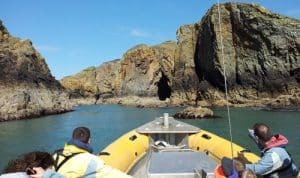 Ramsey Island is exceptional, with a number of sizeable caves and varied wildlife, just 5 minutes from St Justinian harbour, 10 minutes from Whitesands beach; offshore are the islands of Grassholm, the Smalls and the Celtic Deep for cetacean watching. Venture Jet is the only boat company to be able to operate from the blue flag Whitesands beach; trips also run from St Justinian. 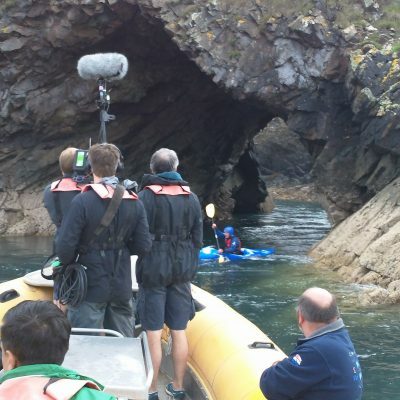 Currently in Pembrokeshire, Venture Jet is easily relocatable - the 'Wet and Wild' jet boat manoeuvres and workboat capabilities could be adapted to any location. 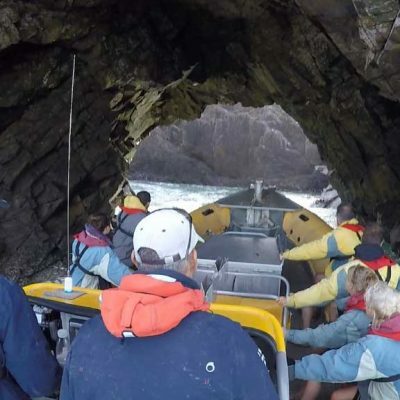 We're happy to help to bring the excitement of the New Zealand jets to any area you choose or to simply familiarise you with the boat that will enable you to do it. 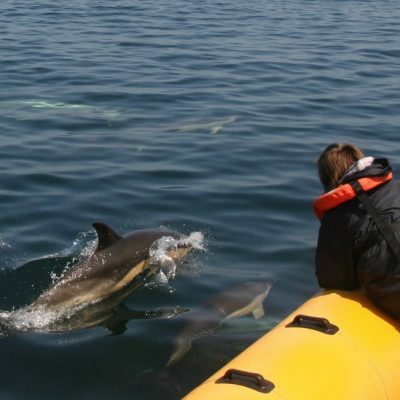 Flexible business model and booking system, easily adaptable to suit new owner, whether you're looking at setting up a new boat business or expanding and diversifying an existing marine tourism or commercial charter business. 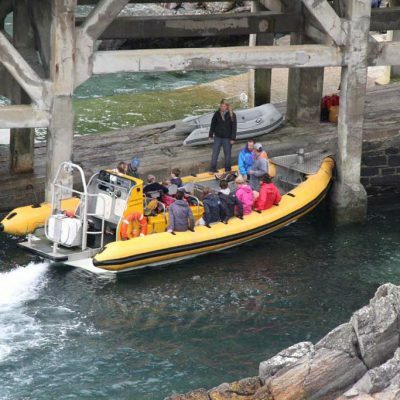 Ribworker jet RIB – please see boat details below and our Ribworker for sale page. Established websites, online and telephone booking (no public office overheads), logos, digital and print marketing, telephone number if required. Optional: see boat purchase section below. 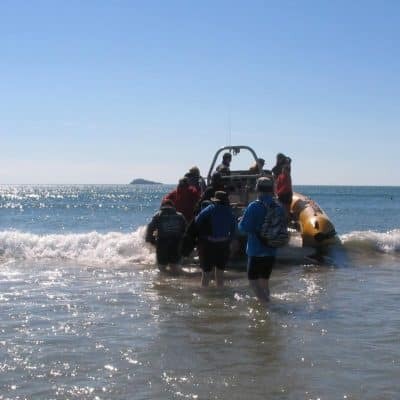 Price negotiable according to equipment and spares, assistance in setting up ‘Wet and Wild’ jet boat adventures in another location, ongoing support package (if any). 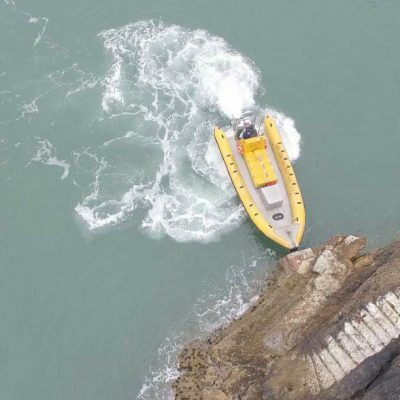 Passenger and workboat coded Ribworker: 12 passengers plus 2 crew or 1000 kg cargo or combination, Yanmar 6LY2A-STP 440 HP (1450 hours), Hamilton 274 water jet, aluminium hull. 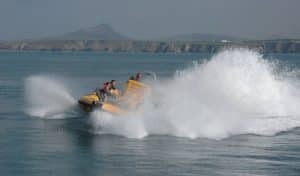 Fast and fun passenger RIB, capable of power-braking or spinning on its axis – slowly for precision manoeuvring, faster for jet boat spins for exciting passenger trips. 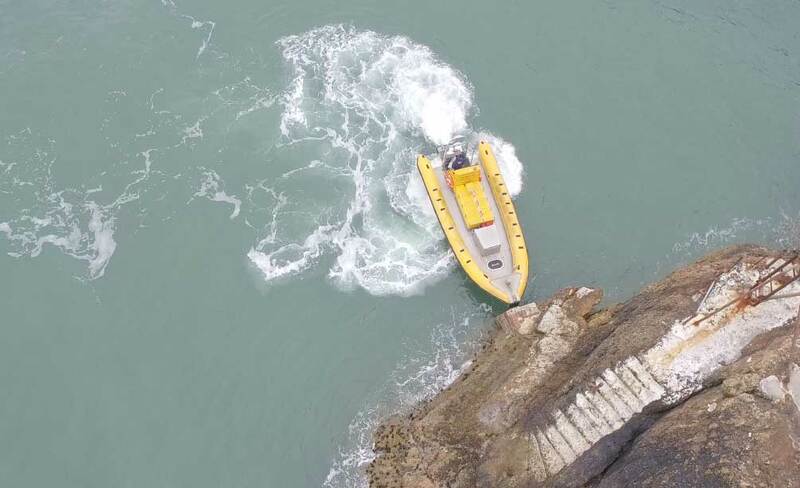 Excellent workboat: towing, precision manoeuvring even at slow speeds, pushing and simply carrying gear, operates safely in just 18 inches of water. 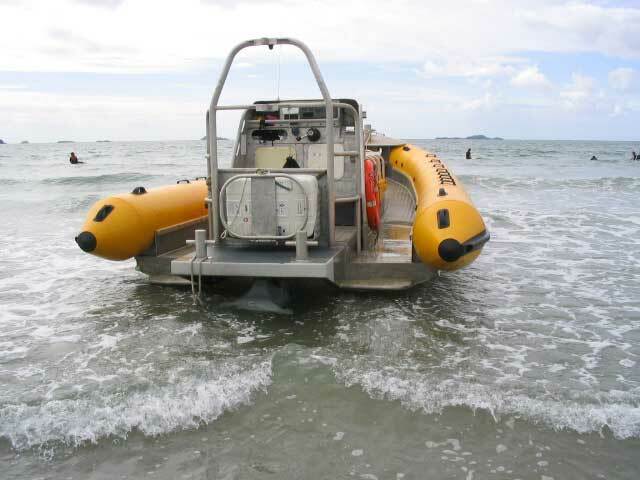 Ideal dive and rescue boat, with an unusual amount of deck and storage space, no propellers so huge safety and operational advantages. Ribworkers are known for versatility, manoeuvrability, strength and longevity. 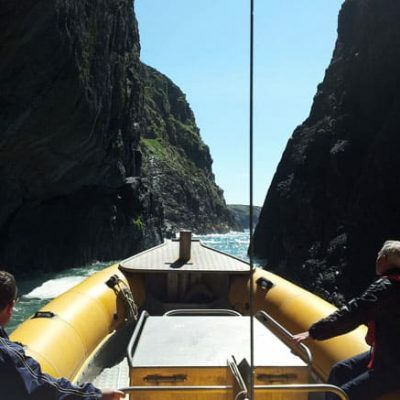 Shearwater is an excellent example of a Ribworker, very nimble and responsive for a RIB her size and very economical on fuel (red diesel). For full details please see our Ribworker for sale page. All equipment in date and serviced appropriately, up to date survey. Initial boat training (if required). 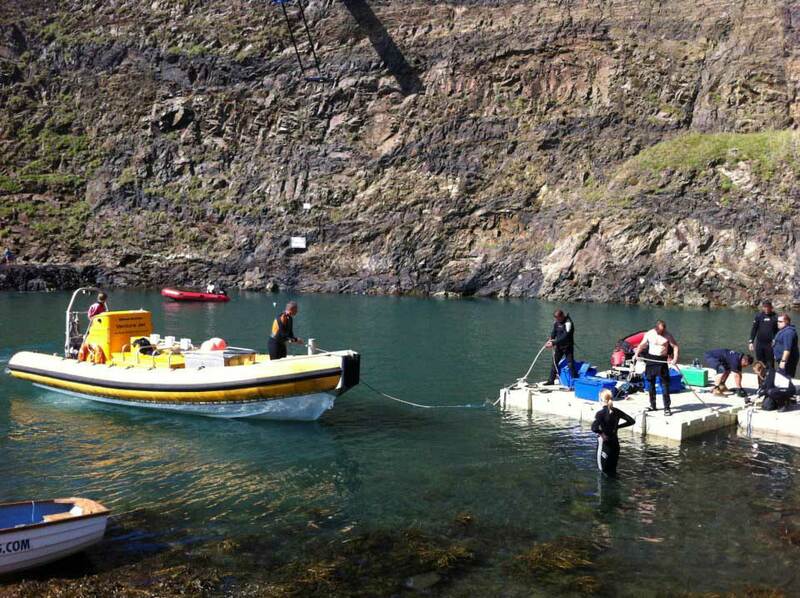 Further boat training tailored to buyer in Pembrokeshire or their home port. Range of engine and jet spares and other equipment. 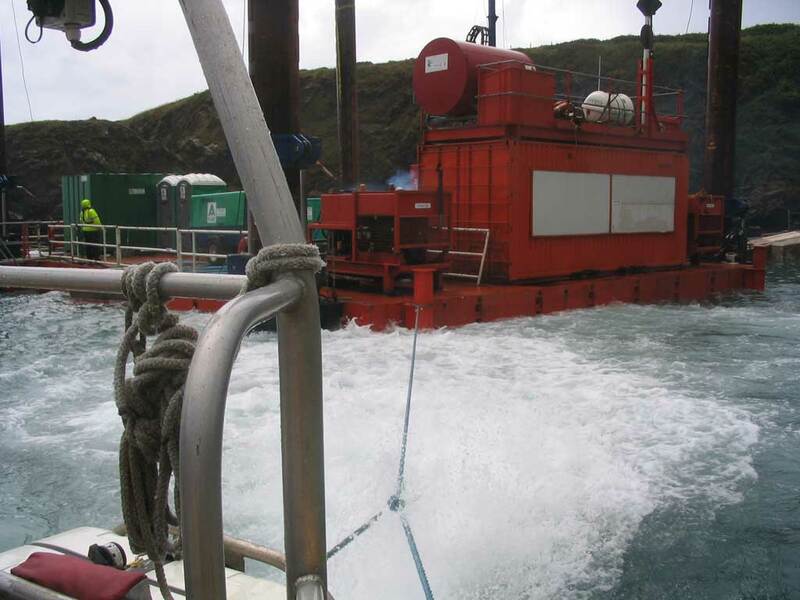 Boat delivery by sea or assistance for the passage. Offers invited in the region of £70,000 (plus VAT if applicable). 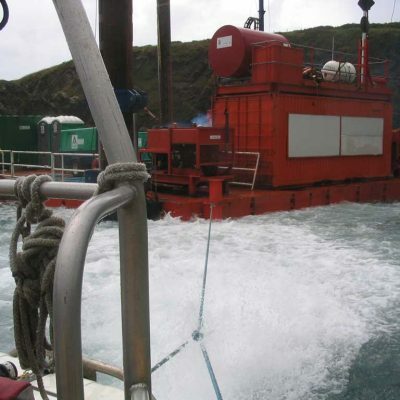 Negotiable according to equipment and spares and further training support package (if any). Financial information will be provided to suitably interested parties upon completion of a Confidentiality Agreement. If you'd like to discuss the possibilities please call us on 01348 837764 or email us at info@venturejet.co.uk.